Naman Munot, a student of BITS Pilani was in the news for donating his first salary to an old age home. This time, he is helping a cancer patient to save his life. 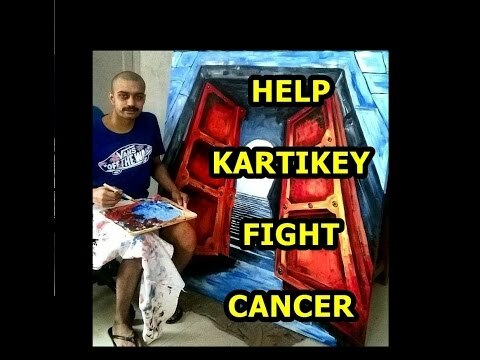 Kartikey Sharma is in the fourth stage of the cancer. He needs money for a bone marrow transplant operation. Kartikey is a talented painter. Naman has made a video to collect money and has sold some of his paintings through his campaign. The campaign has collected around 70k rupees as of now.